A Kill in the Morning is a spy thriller written by me, Graeme Shimmin. It’s set in an alternate 1955 where something is very wrong with the world. It’s fourteen years since Churchill died and the Second World War ended. In occupied Europe, Britain fights a cold war against a nuclear-armed Nazi Germany. 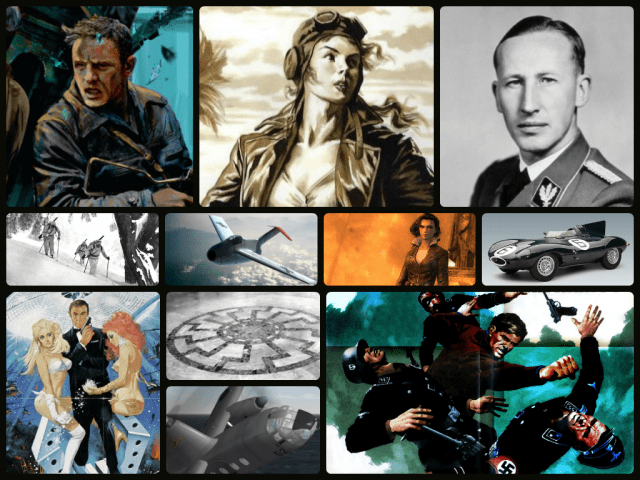 James Bond versus the Nazis. The ‘mood board’ below represents the style of the novel. It was used when we were designing the book cover. Won ‘Superlative’ Award in the Turtledove Awards run by alternatehistory.com. 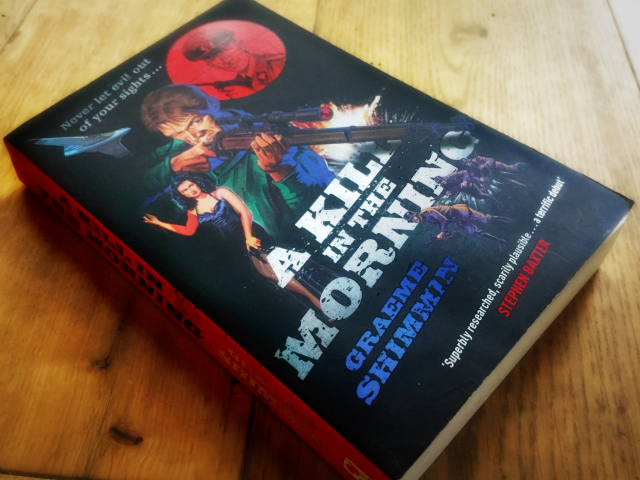 A Kill in the Morning was shortlisted for the Terry Pratchett Prize, 2013. Simon Taylor, Edit­or­ial Dir­ector of Trans­world, was suf­fi­ciently impressed by the novel to enter it into the acquis­i­tions pro­cess at the pub­lish­ing house, which lead to Transworld agreeing to publish the novel. 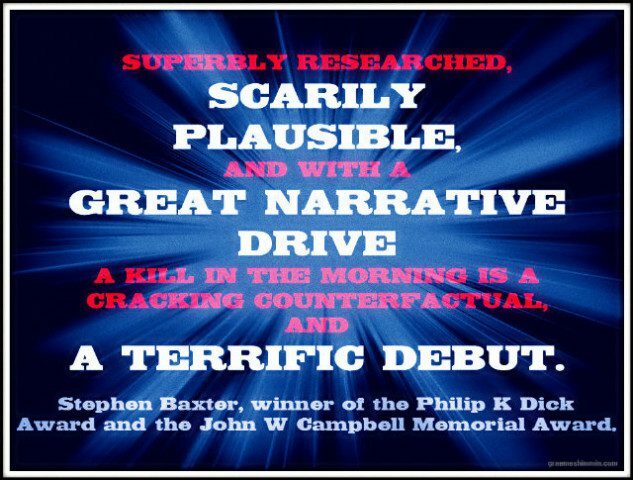 It has had lots more glowing reviews, which are summarised in A Kill in the Morning Reviews.